What do you do with your recycling? When it comes to most items, you just sort it and put it out for collection. But when it comes to industrial scrap metal and CRV, you cannot just put it at the curb for collection. Instead, you need to work with specialized processing plants, and the one for San Dimas is Ecology. Our Fontana recycling center is conveniently located for San Dimas residents, and if you have a large enough load, we will even come and collect it for you. 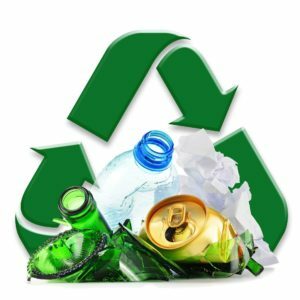 Our goal is to get the community to recycle as much as possible. To help, we make the process easy and offer you the redemption value of your recyclables. If you are in San Dimas, it’s easy to help the environment while making extra money. All you need to do is work with Ecology. Recycling: we all know we should do it, but we don’t always fully understand why. We have a general idea that it benefits the environment, but the more you know about its benefits, the more likely you are to actually get around to doing it. So, why should you choose to recycle? First, anything you throw away is a pollutant. It sits in a landfill and at best, it does nothing. At worst, it leaches chemicals that actively hurt the environment. When we recycle, we do not need to start the manufacturing process right from the start. This reduces the strain on the environment since starting fresh means mining, using a lot of water, cutting down trees, and other processes that demand a lot from the environment while delivering nothing in return. We use less energy when recycling materials than when we make them from scratch. This means less toxic waste and gasses are produced, saving energy and lowering pollution levels. Finally, there is a very direct benefit when you recycle with us: you earn money. While this may not help the environment, it does help you help the environment, which is vital to keeping the process going. Scrap metal recycling is any metal you have that you no longer can use. While you may not have a lot of scrap metal lying around unless you own a warehouse or other industrial property, most people will have enough scrap metal lying around on occasion to make recycling it worth their while. Old appliances, worn-out car parts, wiring, hardware, bikes, and more are all able to be recycled as scrap metal. If you have scrap metal lying around and you know you have no use for it, you can bring it to Ecology and make some money. Scrap metal comes in two types: ferrous and non-ferrous metal. These two types are made from different elements, resulting in them having different uses and different monetary values. Ecology accepts both types of scrap metal. Wondering if your scrap metal is ferrous or non-ferrous? Grab a magnet. If it’s attracted to the metal, then it is ferrous. Why is this? Because ferrous metals contain iron and steel. Ferrous metals are very common and are used in things like cars, appliances, and construction. However, you don’t need to check your metals before bringing them in. Once your haul is here, we will use a machine with a large magnet to separate the ferrous metals from the non-ferrous metals. You don’t need to do any extra work. We design our entire process to make it simple for you. Unfortunately, ferrous metals value is lower than that of non-ferrous metals. However, we still offer the best possible compensation rates and we are confident that you will find that bringing them in for recycling is worth the time and effort. Not only that, but you will be working to keep San Dimas cleaner. Non-ferrous metals are metals that do not have magnetic properties. These metals can contain pretty much any type of metal except iron or steel. Some non-ferrous metals are bronze, aluminum, copper, and stainless steel. These metals are used in a wide variety of applications, including window frames, plumbing systems, bicycles, and some car parts. Have you ever wondered why some people collect aluminum cans? It’s because non-ferrous metal is highly valued. We offer the best rates when purchasing your non-ferrous metal at our recycling center in around San Dimas. California has long been a champion of protecting the environment, which is only natural given how stunning the state is. Because the state has placed such a high value on preserving the environment, it has taken many measures to increase recycling rates. One measure is the creation of the CRV program, designed to encourage private citizens to recycle more. And how does this program encourage recycling? By offering financial compensation when you bring in certain items. The CRV program is geared towards recycling things like soda, beer, and juice cans, as well as glass bottles for soda, beer, wine, and more. The idea is to recycle as many items made out of glass, aluminum, plastic, and layered metal as possible. Here at Ecology, we are proud to participate in the CRV program, and you can bring your CRV recyclables to our recycling center. How does the program get the money to pay you? Well, it actually comes from you. Every CRV item has an additional fee added to the price when sold. When you bring it to the recycling center, you earn your money back. We process small lots by number, but if you have more than 50 items, we process the lot by weight. As long as your CRV items are clean and dry, we are happy to accept them at our recycling center near San Dimas. For Ecology, our business is about helping the environment through recycling. However, we have noticed that the primary reason people do not recycle is that it is not convenient. That is why we take multiple steps to simplify the process and make it more user-friendly. Our recycling center is located close to San Dimas so it is not a long drive away, and we recommend that recycling become a neighborhood effort so you can take turns bringing items in. If you have industrial recycling needs, we offer a special service where we deliver large roll-off bins to your location, and once you fill them, we collect them and replace them with empty bins. You can schedule this service as often as needed, even multiple times a day. Our bins come in multiple sizes to meet your needs. If you have an item you want to recycle but you are not sure if we can accept it, simply give us a call. Ecology is dedicated to improving the quality of life in San Dimas and the greater Southern California region. With us, you can help the environment while also helping yourself by earning money for items you no longer want or need. No matter how much or how little recycling you have, we are happy to process it for you and redeem the value for bringing it in. To learn more about any of our recycling services or our current compensation rates, give us a call. We look forward to helping you with your recycling needs.